As Hurricane Florence tests the preparedness of state and local governments up and down the East Coast, Fannie Mae servicers must similarly ask themselves if they are prepared for revamped disaster relief requirements this hurricane season and beyond. Fannie Mae’s disaster assistance requirements span more than a dozen chapters of the Seller/Servicer Guide. The updated disaster relief frequently asked questions (FAQs) bulletin, published on August 15, 2018, should serve as a warning itself with a total of 56 questions commonly raised by mortgage servicers. Of all the government-backed mortgage lending programs, Fannie Mae’s disaster relief regime poses one of the greatest obstacles for servicers when it comes to implementation and adherence. Over the past year Fannie Mae’s disaster relief programs have undergone substantial revisions. In an interview following Hurricane Harvey, Irma and Maria, Fannie Mae President and CEO Timothy Mayopoulos observed, “servicers are having challenges” responding to the needs of affected homeowners. In turn, Fannie Mae extended foreclosure moratoriums, increased consumer education of disaster relief options, and issued clarifying guidance on a whole host of disaster relief requirements ranging from the workout waterfall to borrower eligibility, escrow analysis, preparing new loan agreements and processing modifications. Fannie Mae was also among the handful of mortgage guarantors that introduced a new disaster relief modification last year. Effective February 1, 2018, the Extend Modification for Disaster Relief, otherwise referred to as the “Extend Mod,” allows for a fixed-rate modification that extends the loan term in accordance with the number of delinquent payments, not to exceed 12 months. 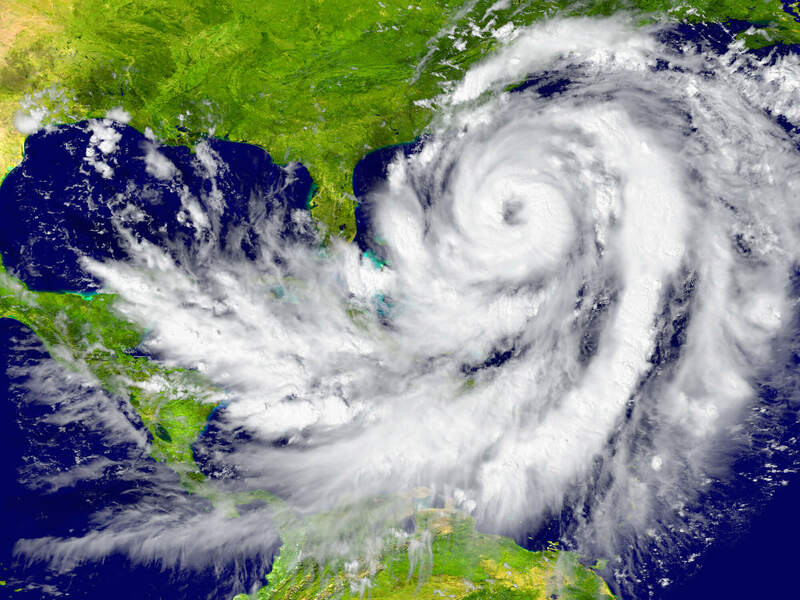 While mortgage servicers were encouraged to offer the program, as soon as it was announced in November 2017, they should expect to see Fannie Mae closely monitoring the deployment of this new measure throughout the 2018 hurricane season. Are you ready to implement Fannie Mae’s expansive requirements? Each workout option, from foreclosure moratoriums to forbearance and various loan modifications, comes with its own eligibility criteria, calculation requirements and timelines. Last year proved that servicer responsibilities are continuing to evolve with updates to terminology, extensions of foreclosure sale suspension periods, and, of course, 12 chapters of requirements and 56 FAQs. However, servicers can set worry aside with CLARIFIRE®, who has it covered with proven workflow, rules and calculations. Administering investor programs tied to disaster can prove challenging beyond guidelines as well. Juggling communications with homeowners, multiple tracks for affected areas, timelines that supersede those already in place, and a complex set of changing rules, must each be artfully implemented and managed. CLARIFIRE® provides a sophisticated workflow platform that automates complex workout rules. With additional opportunities to include an innovative customer contact management system, CLARIFIRE CONTACT, and a secure gateway that assists the servicer in dynamically coordinating interactions between homeowners, industry third parties, and investors, CLARIFIRE COMMUNITY, servicers can effectively navigate this challenging environment. The CLARIFIRE approach facilitates cost containment, change management and timely compliance with evolving requirements. Ensure your servicing team is prepared for Hurricane Florence, as well as the next disaster to follow. 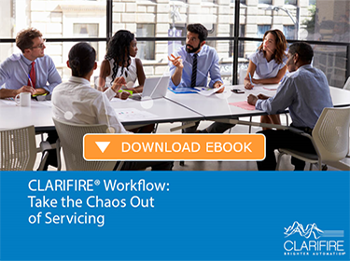 CLARIFIRE® delivers an innovative industry workflow solution coupled with a robust workout rules engine that automates disaster modification qualification, eligibility and exception determination. Find out how your organization can readily respond to today’s disaster recovery environment by visiting eClarifire.com, or contact us directly at 866.222.3370.